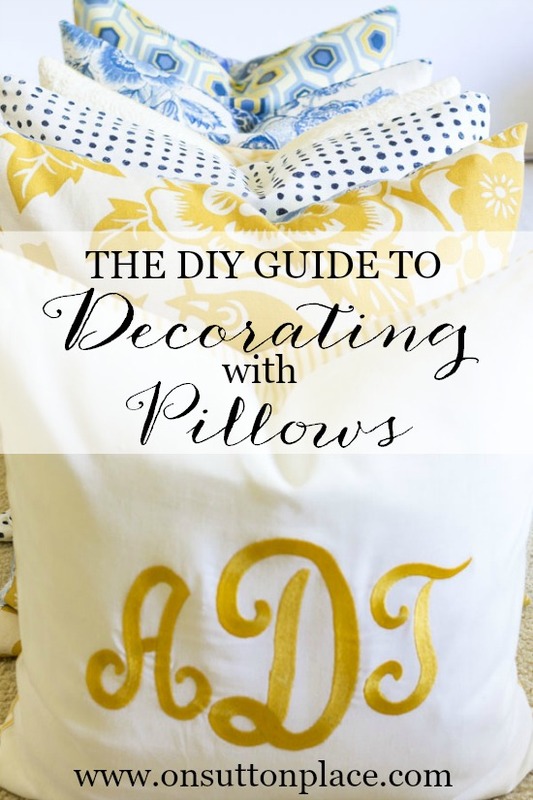 Welcome to this month’s edition of DIY Decorating Tips…and we are talking about one of my favorite things: DIY Budget Decorating with Pillows. 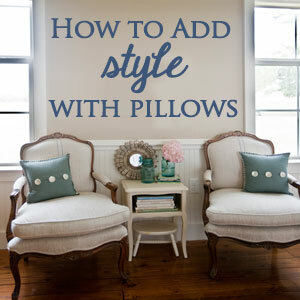 Other than paint, there is nothing that can change the look of a room as easily as new pillows. You can change them seasonally or just for fun. It’s also a great way to experiment with color and texture. They are budget-friendly so even if you make a design mistake you aren’t out a fortune…and I’ve made plenty of mistakes! The first thing I want to mention is the importance of investing in good pillow inserts. I am a down/feather pillow lover so that’s what I have in my home. I have sets in three sizes. 20 x 20, 18 x 18 and 12 x 16. The 20 x 20 can be found at IKEA for $6.99. I know…unbelievable. 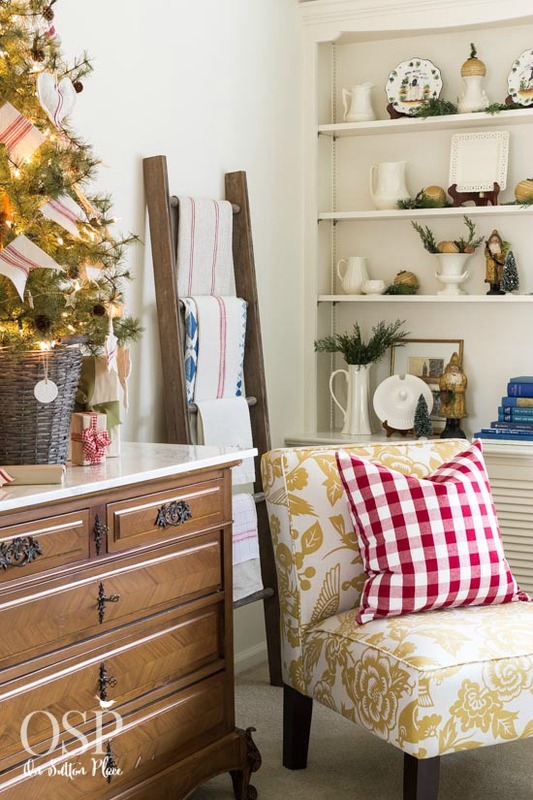 The other sizes can be found on sites like West Elm, Crate and Barrel or Pottery Barn. You can also get them on Amazon and I will list some links at the end of the post. As a starting point several years ago, I made pillow covers in my base colors of yellow and blue. I mixed patterns and textures along with different shades of both colors. If you don’t sew, and want to start a collection of mix and match pillows, hunt at TJMaxx or Homegoods. They have a great selection of down pillows at reasonable prices. Pier 1 and World Market are also good places to look. I thought I would go back through last year and show you the different pillow combinations I used for my living room. I have a neutral sofa but even if you don’t, you can still play around. The look above was just this past Christmas. The fun red pillow covers are from IKEA and were under $10.00 each as are the buffalo checked ones below. As you can see I occasionally mix patterns and colors. I probably wouldn’t have normally combined the two fabrics above, the gold print and the red check, but for Christmas I thought it might work. I think it did. For Fall I was able to pull from my core collection because there were darker golds and blues that I thought looked autumnal. 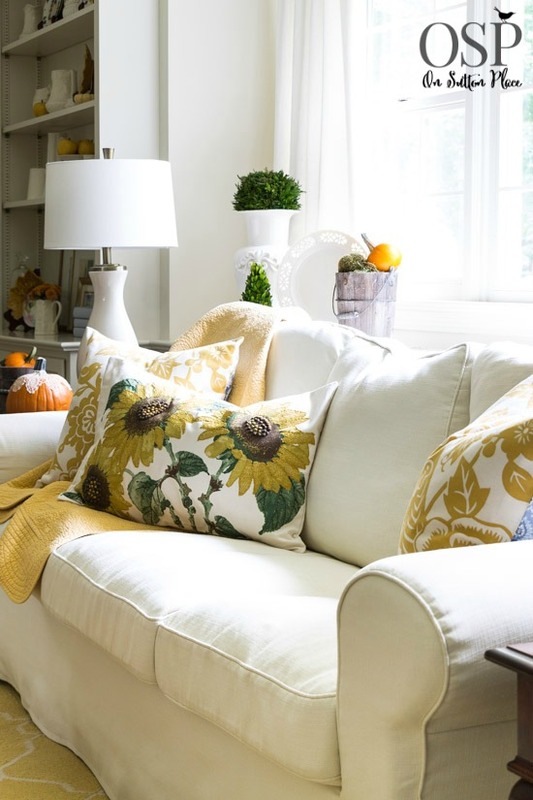 Above on the sofa I added a Pottery Barn sunflower pillow that has great texture. Most of the time I like my pillows to be symmetrical. I think it’s calming and easy on the eye. Once in a while I do get brave and throw the symmetry out the window! Definitely do whatever makes you happy when you walk into a room. Across the room on the chairs I added navy blue and again the darker gold. 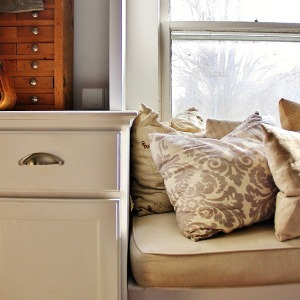 When you are shopping for fabric or pillows, think a little bit outside the box. If you have mostly neutral colors in your home, the sky is the limit. If not, perhaps choose darker shades of the colors you already have. I literally have pillows in every room of my house…except the kitchen. I treat my outdoor spaces just like indoor rooms. 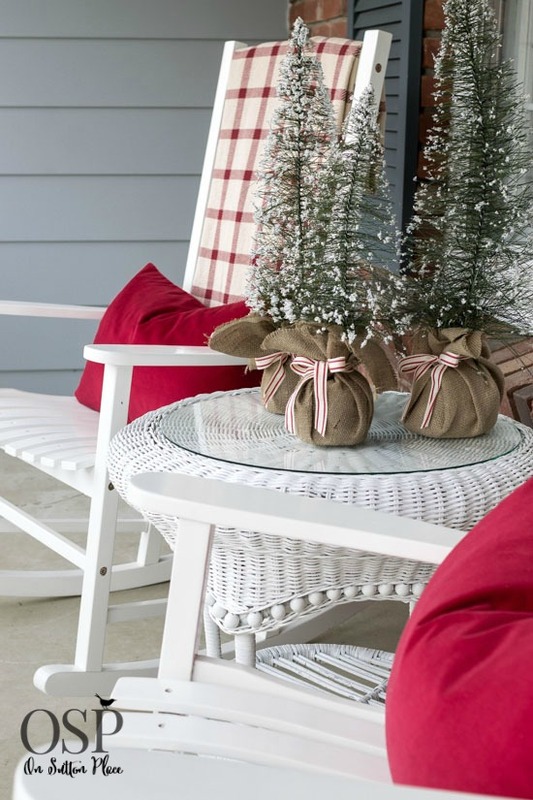 I have pillows on both my porches pretty much all year round. Craft stores like Hobby Lobby and Michael’s now carry a great selection of pillow covers that are downright affordable. The blue pillow covers above were under $5 each at Hobby Lobby last summer. I don’t think you could get a better price…even if you made them yourself! Normally when I update a room or switch to seasonal decor, I mix pillow covers I have made with ones I have purchased. I don’t worry about the colors matching exactly. As long as they are in the same color family I’m OK with going darker, lighter or a different shade. By keeping your pillow collection to just a few colors, it’s easy to move them around your house. The colors on my first floor revolve around yellow and blue. I can take pillows from one room and put them in another. A whole new look for no money. A favorite trick of mine, well really it’s Sarah Richardson’s trick, is to make reversible pillow covers. Two looks for the price of one. Rarely do I make a pillow cover for my own home with two matching sides. Getting a new and different look is as easy as flipping over a pillow. The most important thing to remember, in my humble opinion, is to be brave. Don’t be afraid to try something different. Mix a plaid with a floral or a stripe with a check. If you don’t have any pillows at all, start small. Just get a couple and put them on your sofa. I bet you will fall in love. Now it’s time to feature my lovely friends and their take on decorating with pillows. Stop by their blogs if you have time! with our Spring/Easter Clay Tag Collection! Such a gorgeous sense of style, love things on your blog. Getting ready to do out stairs. Terrified. Your home is beautiful. I have finally found someone who treasures the very things I do and is a genius in design and color selection. You are a tremendous resource in DIY, and in providing the names of shops and websites helpful in reaching goals. Your style is elegant and warm at the same time. Great tips… Thank you for linking up with us! Featuring you this coming week! Ann! You have such a fabulous eye and wonderfully creative ideas. I’m a pillow fanatic and tend to go a bit overboard with them :/ My husband actually just told me that he cut me off from bringing home anymore new pillows so these are great ideas to help me work with what I got! Thanks for sharing! What great pillow ideas, Ann. They add so much flavor to the room. I too love IKEA textiles, and purchases ome pillow covers there, as well as fabric to sew some curtains. They have bright and cheery styles– perfect for kids room. Some of my pillows are long and narrow, so I just fold the excess width of the cover over an insert and hand sew it to the back (if that makes sense). A quick/lazy way to modify a pillow cover. 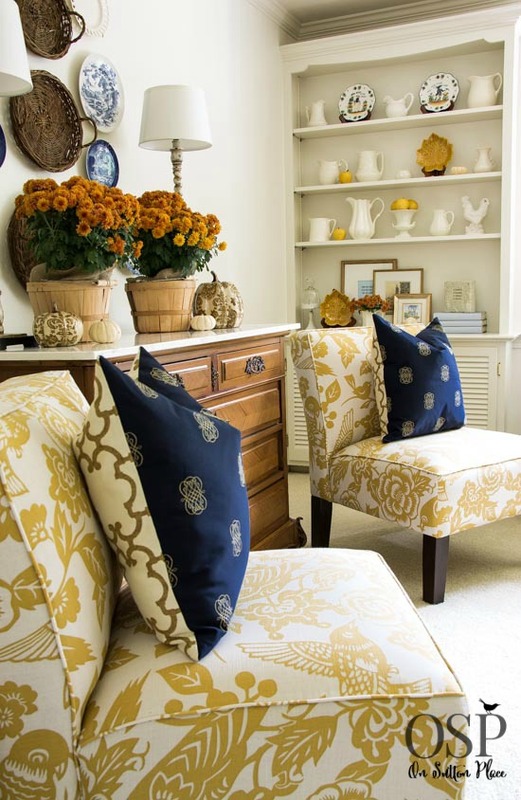 Great tip to be brave and just try mixing patterns and colors. I tend to over think this. Hi Mila! Definitely don’t over think it…just try it and see if it makes you smile or if it’s painful. lol. You will know right away! Our seasons in Australia are all reverse to yours but your pillow talk has really made me think Ann. I have pillow covers from around the world collected on our travels as they are easy souvenirs to pack. But your gorgeous article has inspired me to make a collection so now I will be collecting materials from our trips and will have a look what’s available locally. Sometimes we just need a change inside the home when we can’t get away. Your style is always to lovely and fresh on the White background. Thank you. Oh I love your pillows, they all look so fresh and inviting. Your look is so cozy!! Now I just want to curl up on your porch. Love, love, love all of your pillows Ann! 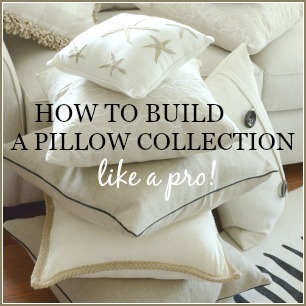 Love all your pillow combinations and tips, Ann! I have a loveseat that needs recovering and I want to go neutral so that I can change out the pillows with the seasons the way you do. Loving the tweaks to your blog, too! Love your blue and yellow combination, but then, I love all your combinations for the different seasons. I try to make some of mine, but another suggestion for purchasing is Tuesday Morning (if there’s one in your area). They have an interesting selection and they’re quite reasonable. Ann – what a great article about pillows. 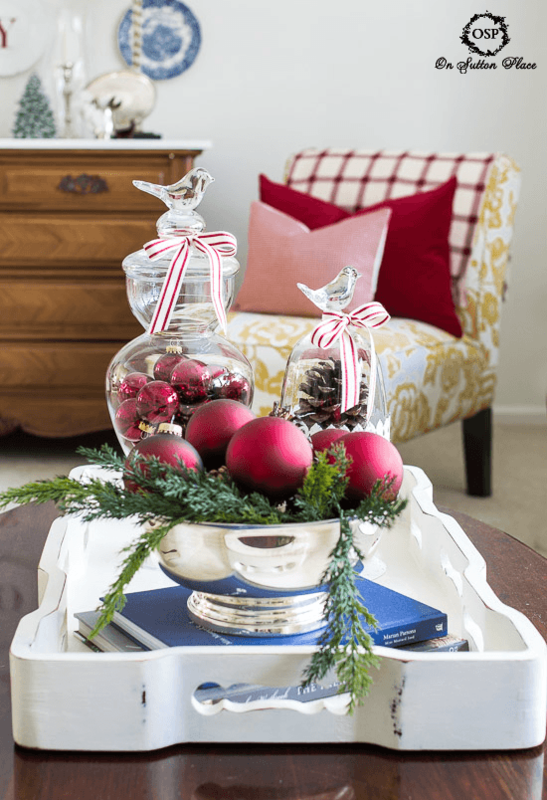 I agree that they can make such a difference in a room’s decor at a very minimal cost. Thanks for all of the pretty photos. Ann…I just went over your lovely pillow section..it really is wonderful.. 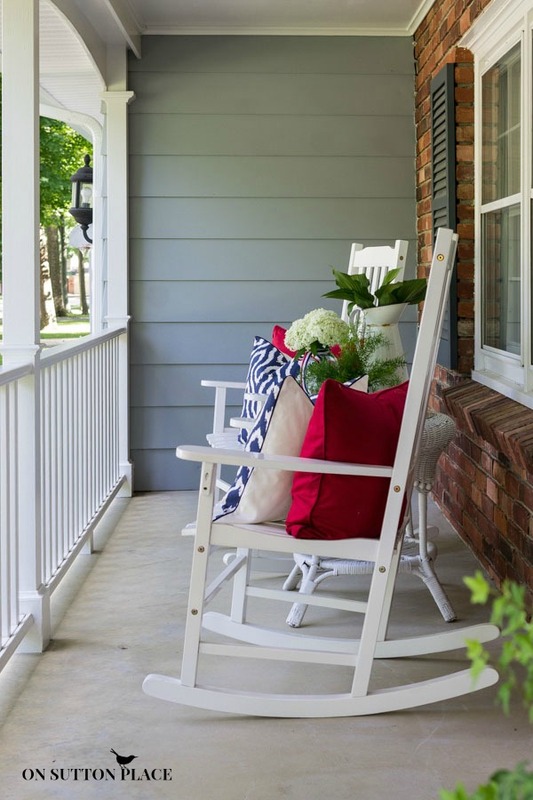 I also loved the front porch..you have a great knack, of putting feeling to the word WELCOME, come and sit awhile ! Can’t wait for your next surprise! I love this post! I can sew and will try to do so in the near future…. One question, how do you get the corner to look so professional? Your color choices are beautiful, I love the yellow with the blue, as soon as I saw your sunflower pillow I hopped over to Pottery Barn, but they no longer have. The pillow post that several of you are doing is very inspirational, and it allows us to see who’s taste is more like our own – so far you could decorate for me. Thanks for the post. Love your use of all those pretty pillows. Am inspired, heading to Home Goods! I absolutely love your style!! Your house is beautiful .. you have such a great talent! Your idea for making the front and back of the pillow different is awesome. I do have a quick question, though .. for pillows that you use outdoors, how do you keep them from getting yucky? I’ve tried pillows on my covered back porch, and even ones that are intended “outdoor” pillows end up covered with tiny black dots that don’t come off with washing or bleach or anything. I’d like to leave pillows out year round but I had to throw the last set away and I don’t want to waste any more money. Thank you so much for your help! P.S. I also have LOVED your posts with the printables you made using Waterlogue. They are beautiful and you introduced me to that app which rocks!! Thank you!! The little black dots have appeared on some of my pillow covers too. I try to use inexpensive fabric for the outdoor pillow covers or the cheap ones from Hobby Lobby. If the mold appears I am not out that much money. Are you buying pillows that don’t have removable covers? I do agree it’s a shame to throw away a whole pillow! Ann, can I move in? I adore your beautiful sense of style and the way you work with yellows… my very favorite colors. You have just convinced me to add more yellow and gold to my living room. LOVE the pillows from your shop to! 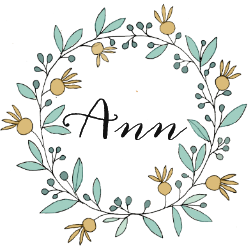 Anne, I just love your website, your decorating style and your home. It helps that my favorite colors are yellow and blue. I try to put blue and white dishes or vases everywhere. You find the best places to great fashion and low cost. Here’s my question. 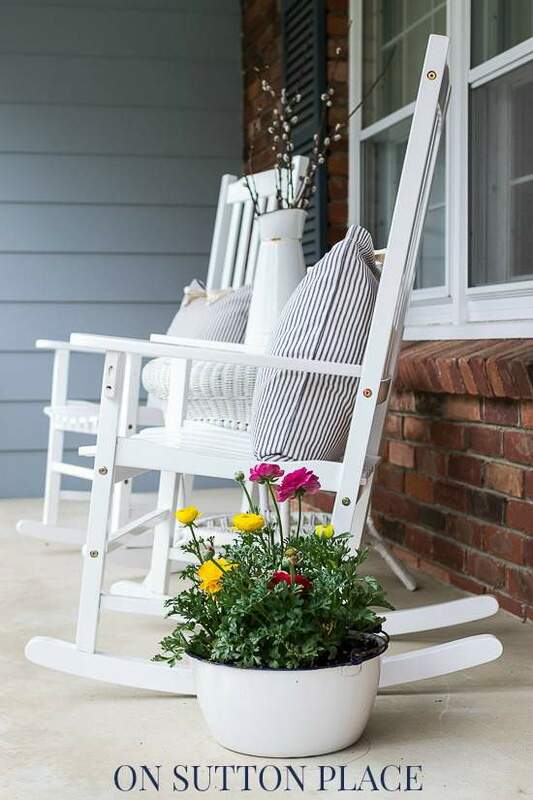 Afew years ago, I bought a white slipcover at Pottry Barn for a great price. Six months later I tried to but another. It was discontinued. Since then , there no slipcovers to choose. The slipcovers in your home are beautiful. Where did you purchase them. I’d love to cover another sofa, and chairs at our cottage. Any suggestions on where to find.????? I get so irritated when a company discontinues something. My furniture and the slipcovers are from IKEA. The problem with slipcovers is that most are made for a specific sofa. 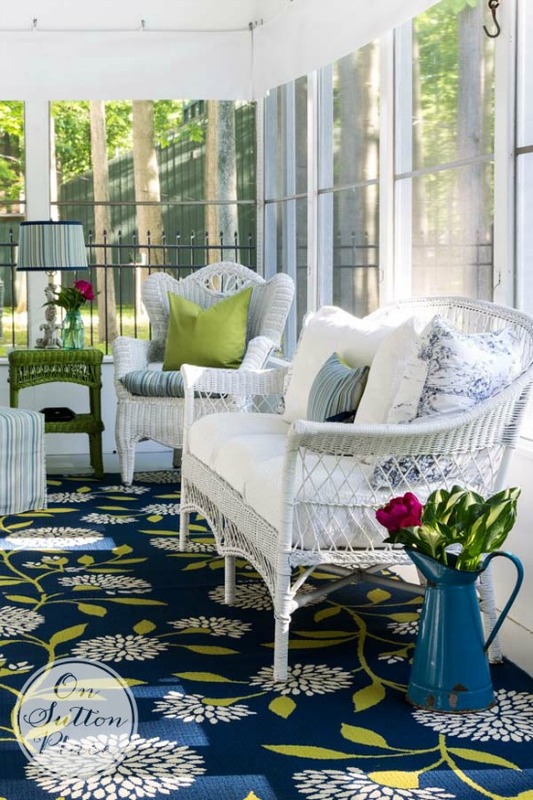 Do you already have the sofa and chairs at your cottage? It might be pretty hard to find ready made slips. You could probably have them made but it would be pricey. It might be more cost effective to start over and purchase some pieces from IKEA. Good luck! I also have the IKEA sectional in white and do like it and have replace the cover one time. Is yours the basic white cover or a different cover? I bought this sectional and chair with ottoman as an inexpensive answer to furnishing a small living room years ago and I’m surprised how well they have held up with daily use, tear and wear. A better product than I expected. Back to question, the texture of yours looks different in the post…is it a different version? Mine is a different cover called Stenasa White. It’s got some linen in it and there is no piping. It’s a very soft and casual look. I have already washed the seat covers a few times and they came out great. No shrinking or fading. I don’t dry them. It’s more expensive than their other slipcovers probably because it’s linen. You are a pillow master, always love your combinations. Good resources too! Love the idea of not making the two sides the same! Brilliant! And I am head over heels in love with your sunflower pillows! However, they are all beautiful! Love all your looks, and love the price of the Ikea inserts. Can’t wait to pin a ton of these ideas! I have been working on new pillow covers for the past two days…your advice and ideas have completely changed my entire direction of what I was planning to make by using your ‘reversible’ aspect. One question, actually two: 1. Do you use zippers as closures on your pillows, or how do you close them? and 2. Do you ever use trim or cording when making your pillows? After the fight I had yesterday with trying to put some purchased braided trim on a pillow using the zipper foot that came with my machine, I had to slink away in abject defeat. So, until I can purchase either a narrow zipper foot or a piping foot that fits my machine, I think the rest of the trim will stay in the basket. Thank you for your timely posting. If you want to make a pillow cover reversible you have to use a zipper. If you are making both sides the same you can use an envelope closure which is much easier. I don’t use piping or trim anymore. Honestly I am no good at it and it takes so much time. Life is much easier without that hassle! Thanks for your comment and good luck with your pillows! Ann Thank you for the info. I have been wanting to modernize my pillow selection. The colors on your pillows are so bright. One question is what type of material would I use if I wanted to sew some pillows? The sky is the limit as to the type of fabric. Linen, cotton, or any sort of blend works great. Most decorator fabrics have some poly in them but they are beautiful all the same. Good luck! 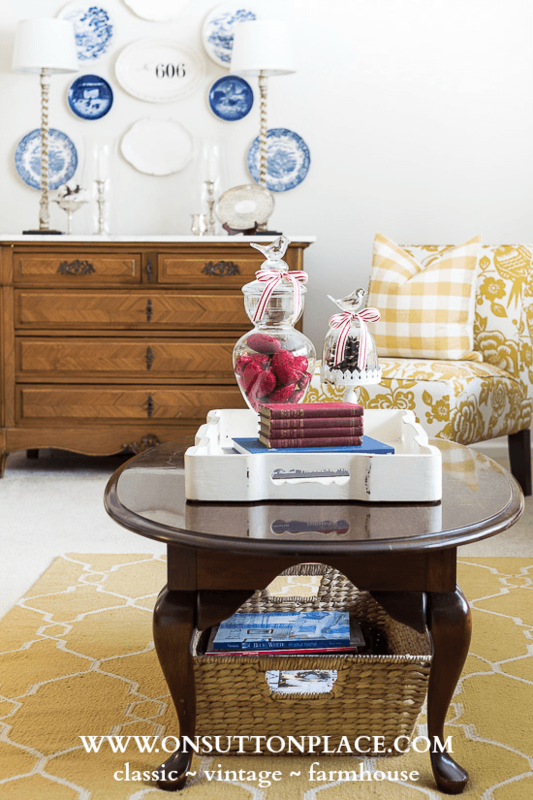 Love your blog – you have such a beautiful, tasteful home! So welcoming!! Wow, just what I need to cure the winter blahs!! I am adding “new pillows” to my “To Do List”. Love your information/ideas about pillows…Oh, what am I saying? I love ALL of your posted ideas. Thanks for sharing. You always have and make the prettiest pillows Ann! !…beautiful rooms so wonderfully decorated with the most perfect pillows! What a great post Ann. I really like your use of color in your pillow selection. Noticed the little bucket on the window sill in your Autumn picture. Love that!! Ann…these rooms are so warm and welcoming. I will have to look back at them, so I don’t miss anything! Where can I find the agite ware you show your pillow show? Love it new or used! I’m sorry Nan…not sure what you are asking? Love all your pillow combinations. I fell in love with pillow covers after purchasing several from you. 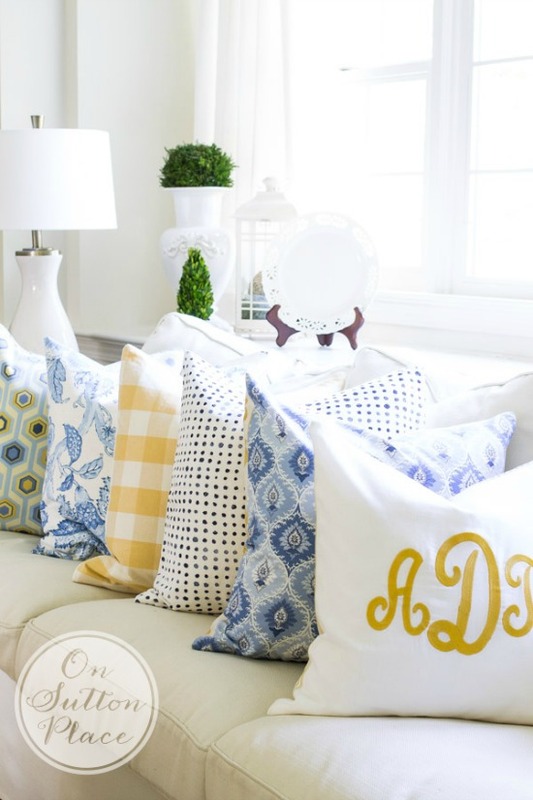 You are so right, a change of pillows adds a new personality to rooms in your home. Ann all of your tips a great. I love the idea of the two fabric sided pillow and never even knew that Hobby Lobby or Michael’s had pillow covers!! The blues and yellows are perfection! Love your pillow information! 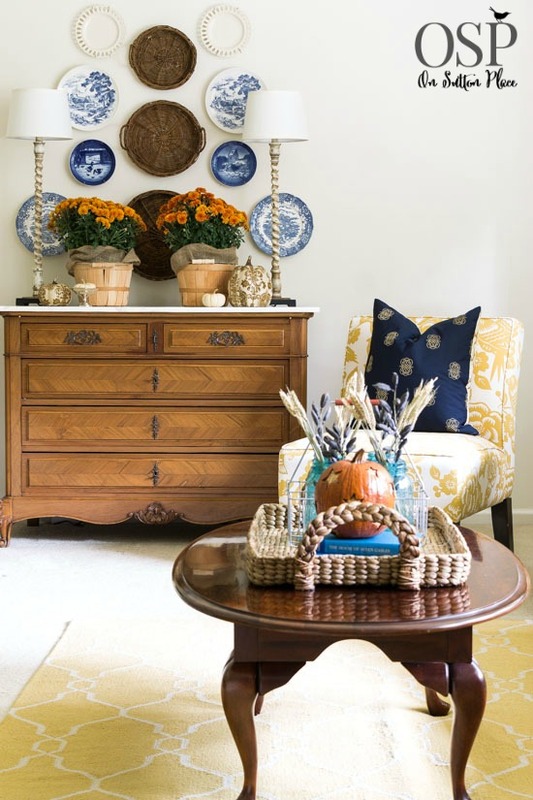 I love using pillows to change out the seasons or just freshen up the room with a new look. I have recently discovered Hobby Lobby has a great selection of pillow covers with very reasonable prices. If you use a coupon, you can get them really cheap!!! You have the prettiest arrangement of pillows. All so pretty Ann!